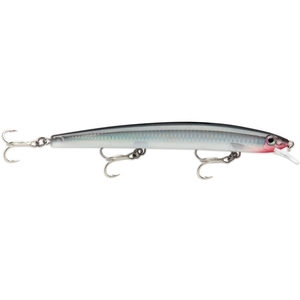 Rapala Max Rap Long Lure - 12cm. Tip to tail, everything about the MaxRap is premium. Designed for maximum casting distances via internal MaxCast mechanism. 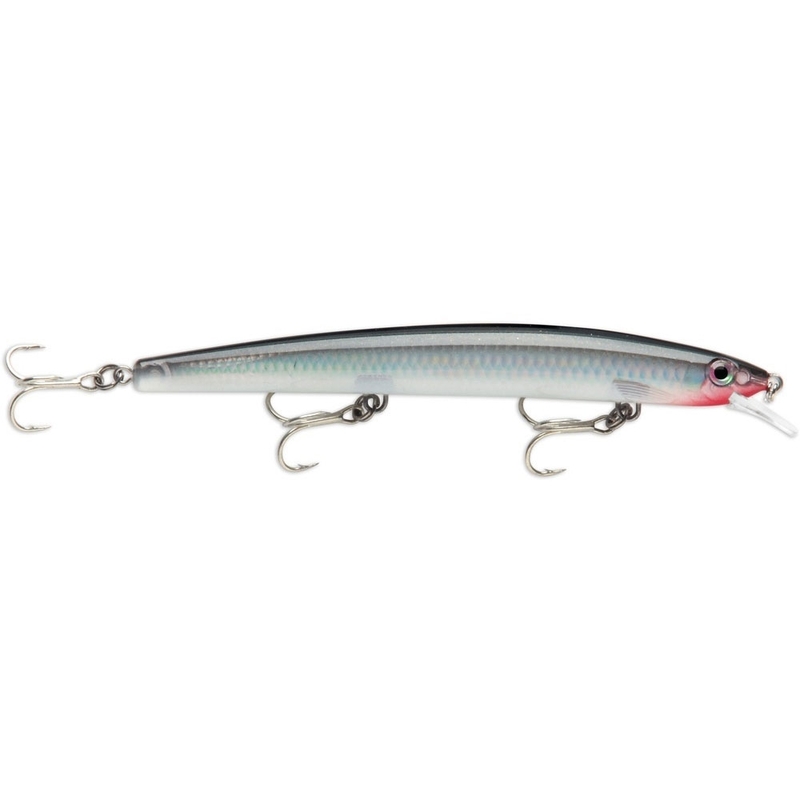 Rip for darting, wild searching action or straight retrieve for hardfl ashing “wounded-minnow” Rapala wobble. Maximum Performance and Premium Components. Striving for the utmost in lure design, the MaxRap concept focuses on a single, primary function and compliments the design with every imaginable maximum feature like laser-engraved scales, VMC Spark Point hooks and superior quality components. Whether you’re target is big or small, salt or fresh; the MaxRap makes an ideal choice with intricately crafted finishes designed to mimic the most common aquatic prey; and in true MaxRap form, the creations are nothing short of spectacular. The first in the family offers anglers a superior casting lure that outcasts all others with extreme accuracy. A lifetime in the fishing business teaches you that discriminating anglers demand the best. Modern anglers demand the MaxRap.